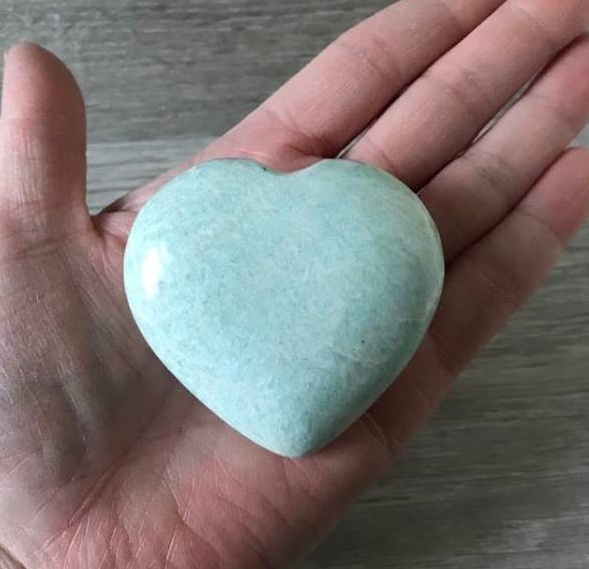 Different shades of light mint green coloured amazonite Soothe your emotions by keeping an amazonite crystal on or near you. Amazonite Helps with emotional termoil, get rid of negative thoughts and emotions. Amzonite is known to help in muscle spasm, osteoporosis, calcium deficiency tooth decay.